Since I started blogging I have written about Carl Sagan on or about his birthday – November 9th. This year Sagan would have been 75 years old – we definitely lost him far too soon. Sagan remains an important figure to the skeptical movement for various reasons. He made it popular to popularize science, and simultaneously showed us how it’s done. He condemned pseudoscience without seeming dismissive or judgmental. He emphasized the wonder and awe of science with poetry and power. And he had a way of forcing you to step back and take a broader perspective on the nature of things. His signature series – Cosmos – was a breakthrough, in my opinion. What separated that series from what was (and unfortunately often still remains) the standard in science documentaries was the way in which Sagan constructed the stories of science as a personal journey. It became our personal journey as we followed Sagan through the Cosmos. Most science documentaries are constructed of talking heads looking off camera, voice overs, and graphics. In Cosmos, Sagan was talking directly to us. He was taking us gently by the hand and leading us on an adventure of discovery. Sagan also was not just teaching us about science, he was showing us his personal love for science – how it gives us an awesome view of the universe in which we live, and why it’s important. The personal journey metaphor is also perfect. As a species, humanity is on a collective journey of scientific discovery. And we each personally take that journey as well, following in the path of those scientists who have blazed the trail. Sagan’s book, A Demon-Haunted World – Science as a Candle in the Dark, remains one of the best entries into the world of skepticism out there – and the book I recommend to those wanting to understand what this whole skepticism thing is about. If you haven’t read it – read it right now. Buy or borrow the book, download it to your Kindle, go to the library – read it. But don’t stop there – all of Sagan’s science books are excellent reads. If you can find them, a few are available in audio format with Sagan reading. 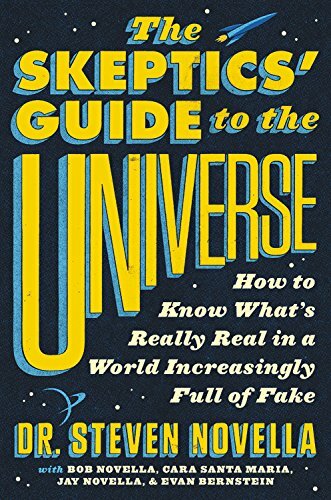 In the last few years the skeptical movement that Sagan helped inspire has really taken off. We are bigger and more active than ever, riding the wave of social media and really taking our place as the voices of reason in society. I regret that Sagan is not around to see it and participate. But there’s no question that his legacy continues and he remains an inspiration to those of us who seek to emulate his passion for science, teaching, and reason. While we have remembered Sagan each year since we lost him – this year is the first Carl Sagan Day. This past weekend at Broward College the first annual Carl Sagan Day was celebrated with a full day of science. Our own Phil Plait was one of the speakers, along with James Randi and astrobiologist David Morrison. I was unable to attend, but it looks like something that should continue in the future. For me personally, it is safe to say that Sagan was hugely influential in firing my passion for popularizing science, and he remains a role model in how to successfully promote science and reason. He remains a profound example of the ability of one man, through the power of words and ideas alone, to have a positive impact on society and millions of people.